Go high or go low, that is the question. The size of your headboard can have a big impact on your entire bedroom. Oversized headboards are dramatic and impactful. They create a focal point in a sophisticated and modern bedroom. Smaller headboards have a minimal appearance, which are great for smaller spaces, and still add plenty of personality to a room. 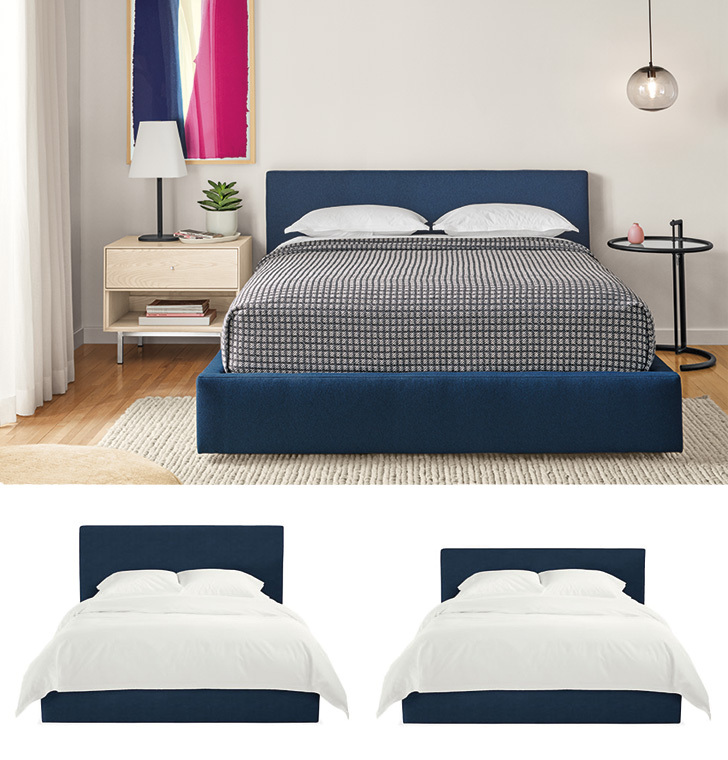 Here are some tips for selecting the best headboard height for your bedroom. Step one is to determine where your bed is going to be placed in your room. What’s the height of the ceiling? Are there windows to work around? Is it a large or small space? Your headboard not only needs to fit in your bedroom from a measurement perspective, it also needs to be aesthetically pleasing to the space. Do you love to read, work on emails or binge watch your favorite shows while lounging in bed? Opt for a taller headboard so there’s space for you to lean back comfortably. If you’d rather settle in for a movie on the sofa, a shorter headboard will be perfect for your lifestyle. Consider the number of accent pillows you like on your bed. If you have an extensive collection, you’ll want a taller headboard so that it doesn’t disappear under a mound of throw pillows. If you’re not a decorative pillow hoarder (we accept you either way), you’ll be just fine with a shorter headboard style. 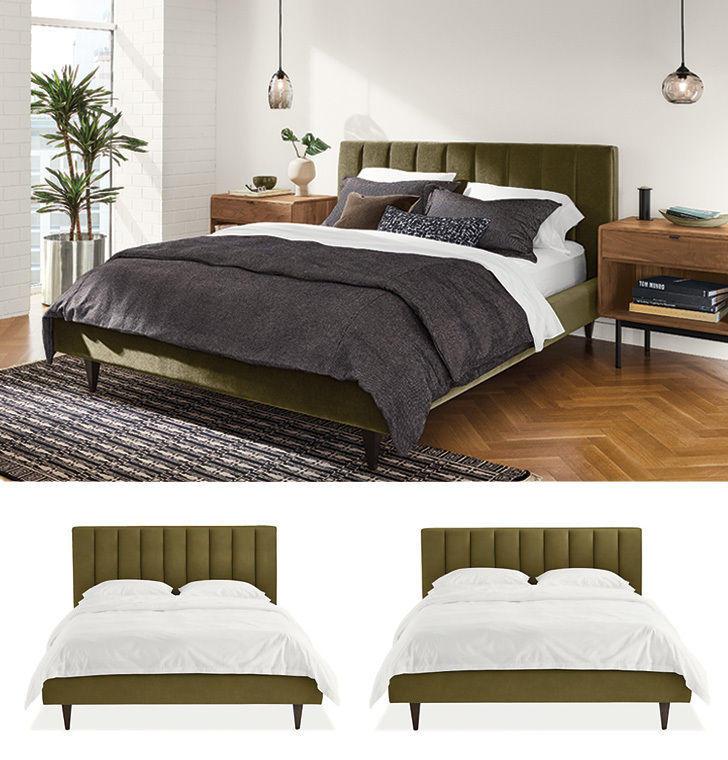 We offer our Avery, Hartley and Wyatt upholstered beds in two different heights. Here’s a look at each collection to help you decide on the look and function you want for your space. Avery features beautiful tufting, which puts a modern twist on a classic style. 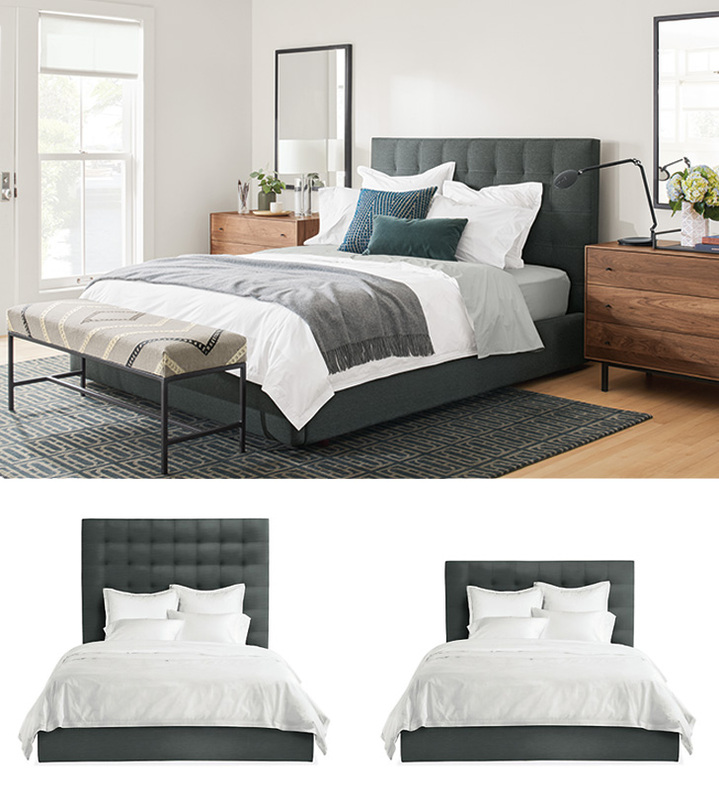 Hartley features a distinctive, channeled headboard that is expertly tailored by craftspeople in North Carolina. It also has beautifully tapered wood legs, which add to Hartley’s sophisticated design. Wyatt is a modern, low-profile bed frame. The clean lines give it a fresh feel in any bedroom. Need more inspiration? Check out these articles to help you design a bedroom you love.